Why is Customer Experience becoming the primary way companies differentiate themselves in an increasingly crowded market? How does CX pave the way for growth? How do you measure it accurately (and actionably) – and how can you leverage customer feedback for happier customers, more referrals, and more sales? We asked all of these questions and more of CX experts at the top of their field – and their answers will inspire you. Customer Experience is inextricably linked to growth – when you give the customers not only what they want, but also what they need in a way that leaves a positive impression, you’re making an investment sure to pay dividends. “Customer experience drives growth. Data supports this fact. Forrester showed that CX leaders, on average, grow more than 5x faster than CX laggards. The companies that have made CX a priority focus on understanding the customer’s needs and wants and spend a lot of time understanding the journey a customer takes. 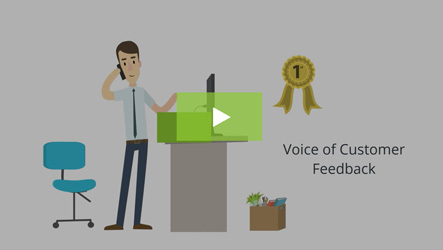 They ensure the customer voice is heard (either through direct interviews or other opportunities to provide feedback) at each touch point of the customer journey, make sure actionable insights from feedback gets back into processes and close the loop with customers to advise them of the actions they took. They do this because they understand the post-purchase phase of the customer lifecycle is where growth occurs.” – Sue Duris, Director of Marketing and Customer Experience, M4 Communications, Inc.
What’s the best way to improve the experiences your customers are having? Opinions differ, even among experts, but everyone agrees that what gets measured gets done. “An organization should have many tools available to them and not lean on any one of them too heavily. They should look at a combination of CES, NPS, CSAT, loyalty, and emotions metrics. In addition, measurement shouldn’t be taken in a vacuum. Testing and analysis should occur regularly and consistently so you can view trends and then take deep dives to determine the reasons the trends are what they are. 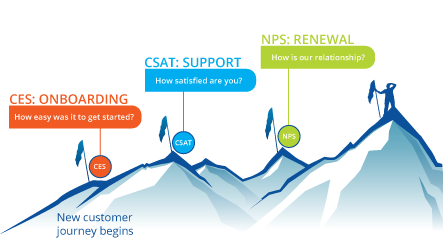 This will help you improve your CX performance.” –Sue Duris, Director of Marketing and Customer Experience, M4 Communications, Inc.
“If you want to get started with measuring and improving customer experience, I recommend you begin by tracking Net Promoter Score. You’ll get a metric that everyone in the company can rally around improving, and the rich feedback you get from customers will give you guidance on how to do it. Over time you can build a sophisticated customer feedback strategy that incorporates a number of CX metrics, but I advise that you get the ball rolling as soon as possible. 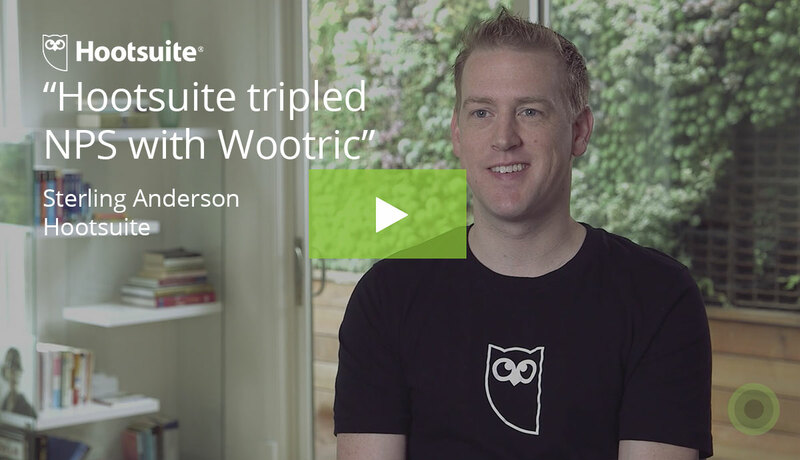 There are a number of low cost/no-cost SaaS platforms out there, including Wootric, that can get you started quickly.” –Jessica Pfeifer, Cofounder and Chief Customer Officer, Wootric. Sure, you can keep customers even if you provide a lackluster experience – if you’re the only game in town. But with competitors coming out of the woodwork, nobody has any market cornered for long. Offering superior CX is the only way to win the kind of loyalty that becomes the mortar paving the road to retention. “I spend a lot of time with SaaS startup clients whose number-one goal is to improve recurring revenue. What I’m really excited about is a lot of my early stage startup clients are eager to put CX in place now so they are ready for when they scale. They know how vital CX is to corporate growth.” – Sue Duris, Director of Marketing and Customer Experience, M4 Communications, Inc.
“Efforts toward retention should start early in the customer relationship. 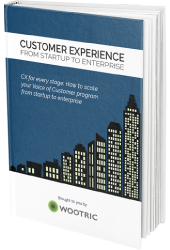 At Wootric, we ask our customers the Customer Effort Score question to get feedback on our onboarding process. When we don’t get top marks, we get an opportunity to make things right with the customer immediately and get back on track. All because we reached out and proactively asked for feedback early on.” –Jessica Pfeifer, Cofounder and Chief Customer Officer, Wootric. Emotion is a vital, yet often underappreciated, component of decision-making – but CX experts know that winning minds isn’t enough. Customer Experience is a game of winning hearts. CX is a quickly-evolving field as new technologies make it easier to create better experiences, track those experiences, and leverage those experiences into engines for retention and growth. What does the near future hold – and what do you need to do to stay on top of the wave? 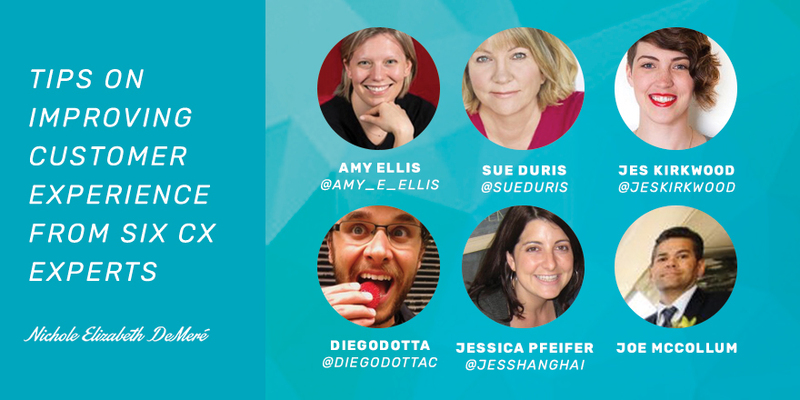 “Right now brands are inundated with CX feedback–social, surveys, support tickets–and it’s all over the place. Companies that take a systematic approach to aggregating and analyzing all of that Voice of the Customer data in one place will have a competitive advantage. AI–in this case a combination of machine learning and natural language processing–is making it possible to glean insights from those thousands of qualitative comments.” – Jessica Pfeifer, Cofounder and Chief Customer Officer, Wootric. – Sue Duris, Director of Marketing and Customer Experience, M4 Communications, Inc.
From customer success goals to metrics that measure emotion, to carefully planned and tracked customer journeys, Customer Experience reaches into every aspect of how companies relate to their customers. You can look at CX as the end result of how business decisions ultimately affect customers, or you can look at CX as the guiding light that becomes a company-wide compass for customer-facing decisions. Either way, it’s clear: To survive and grow, today’s businesses have align behind the customer experience. Measure and improve customer experience. 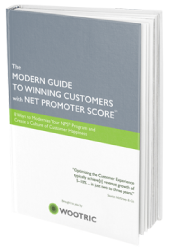 Sign up today for free Net Promoter Score, CSAT or Customer Effort Score feedback with Wootric.